Throughout January we have been reminiscing about our journey so far and what it means to be a part of The New World Trading Company. Keeping up with current affairs of the outside world can be dispiriting and we can easily get caught up in the ‘doom and gloom’ of 2018 headlines. With this being a growing concern, we thought it our duty to re-evaluate what we want to provide to our NWTC community in order to change this trend. Aside from providing our guests with the most spectacular service, with beautiful hand-crafted drinks and delicious dishes; at the very heart of our company, our ambitions are to engage with our communities, fundraise for our charities and spread plenty of smiles along the way…to build a New World that we’re all proud of. We want to continue to work with our charities and local communities to provide inspiring and deserving people with chance to live their life to the fullest, experiencing magical moments along the way. This is also an awesome opportunity for our teams to work with our extended family Barnardo’s, through local challenges and national events. 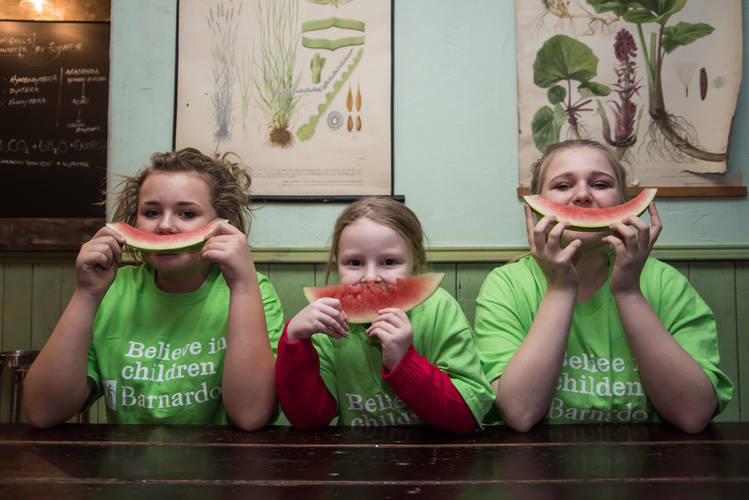 Our magnificent teams and generous guests have helped raise money for an array of services including The Tim Bacon Foundation and for the wonderful children of Barnardo’s. The journey so far has been so rewarding for our New World-ies and the amount of smiles we have witnessed along the way has made it all worthwhile! Not only have we been given amazing opportunities to positively influence our communities but we have also grown closer as a team, giving our incredible individuals something amazing to feel a part of and smile about. And that’s our aim: to inject our charities and our teams with positive experiences and create smiles that burst out at the seems and cant possibly be suppressed. We aim to touch the hearts of every individual that is involved in our world and make the greatest impact possible to better the greater world. We have been doing some totting up and the numbers from last year are pretty exciting! It’s best to see our ambitions come to life rather than tell you all about them, so you can see for yourself the smiles we have spread so far. Check out our movie montage dedicated to all your marvellous efforts… we dare you not to smile too.